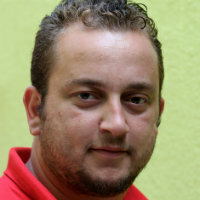 Arben Ahmeti is a reporter at the “Koha Ditore” daily newspaper in Kosovo. He primarily reports on corruption and organized crime. Some of the high profile cases he covered were investigated by EULEX. In March 2011, Ahmeti was elected President of the Board of Association of Professional Journalists of Kosovo, APJK, which is the largest media and journalist organization in Kosovo. Recently, APJK led a journalist and media protest against Kosovo’s new penal codes that were approved by Kosovo’s parliament. According to the controversial articles 37 and 38, journalists can be held criminally liable and obliged to reveal their sources.